Color 4.0 and a Touch of Realism | Small, but valuable. I might be using house painting jobs as procrastination for the stuff that really needs to be done around the house. It’s possible. Let’s face it, painting for a few hours and creating a different look for an entire room is just more fun than mopping, weeding the garden, or installing a ceiling fan. 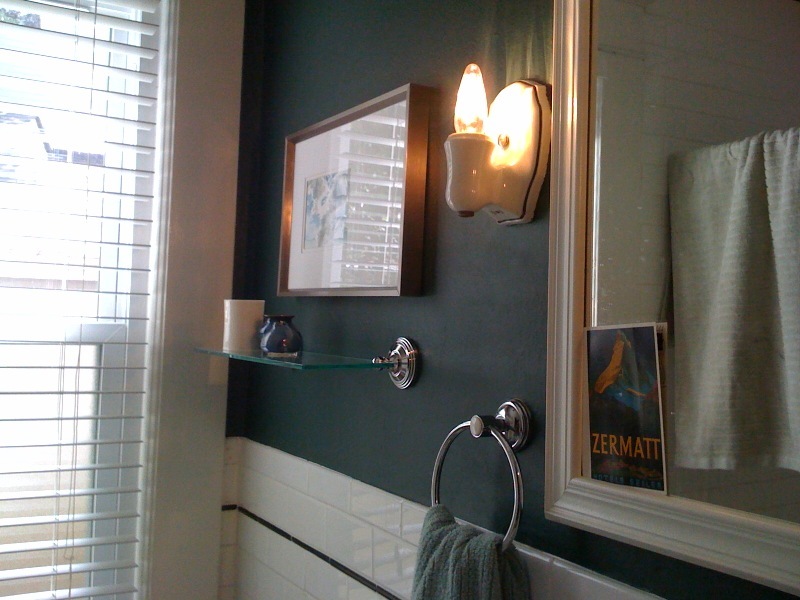 One of my favorite things about that bathroom is the crazy hole in the wall where the mirror usually goes. It’s much more sinister looking in real life. Sometimes it looks teal, sometimes it’s almost black, and sometimes it’s kind of green. Don’t you hate it when magazines show you before and after pictures and they change all sorts of extra stuff between the two?! They’re trying to convince you that one haircut is better than the other, but they also give the woman in the picture a total makeover with different clothes and makeup and everything else. Of course she looks better in the second picture. Yeah, I hate that and totally did it in those pictures. Oops. 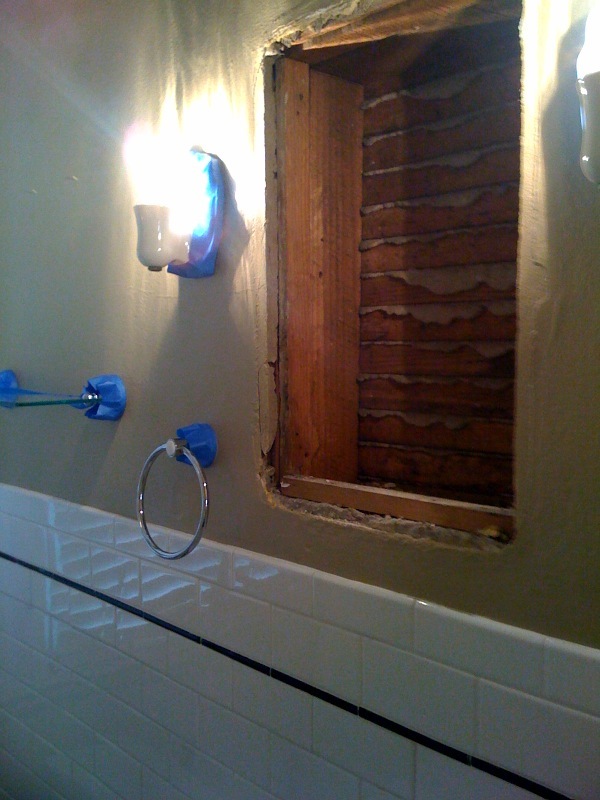 There is a rogue towel hanging from the shower curtain rod in the after picture though. A touch of realism never hurts. Speaking of realism, I made fried pickles last night, and they were delicious. The unfortunate side-effect of that is that my entire house now smells like a vat of deep-frying oil. Recipes should start including disclaimers about smells that are likely to linger in your house. Someday when I own a house I would like you to be my decorator. Ok, great. Thanks. Excited to see the teal in person! Sign me up. : ) Excited to see you in person, too!